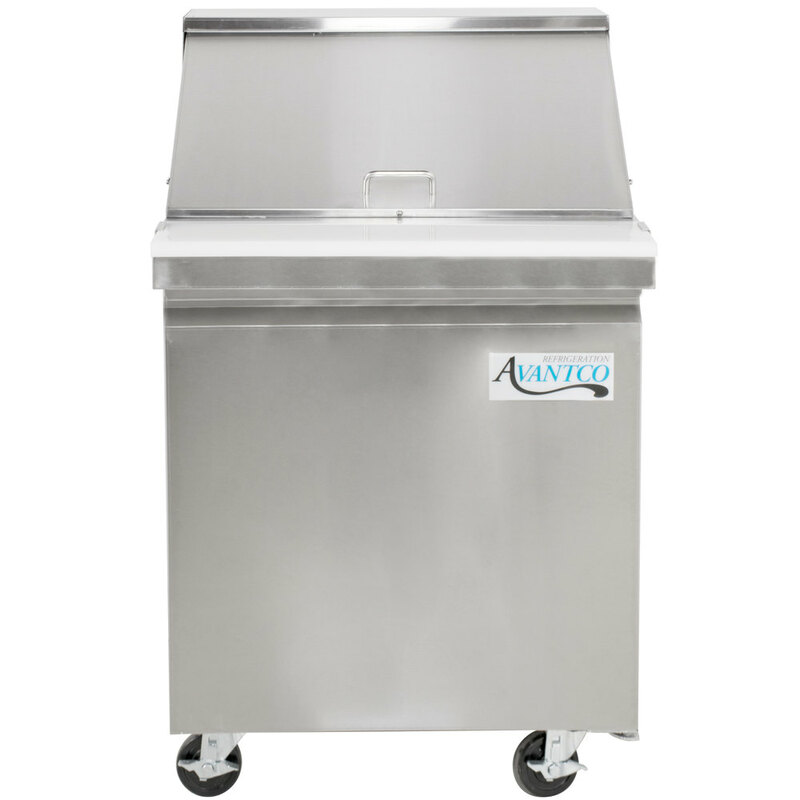 Optmize your back-of-house operations with this Avantco SS-PT-27M-HC 27" 1 door mega top stainless steel refrigerated sandwich prep table, and better keep up with customer demands. 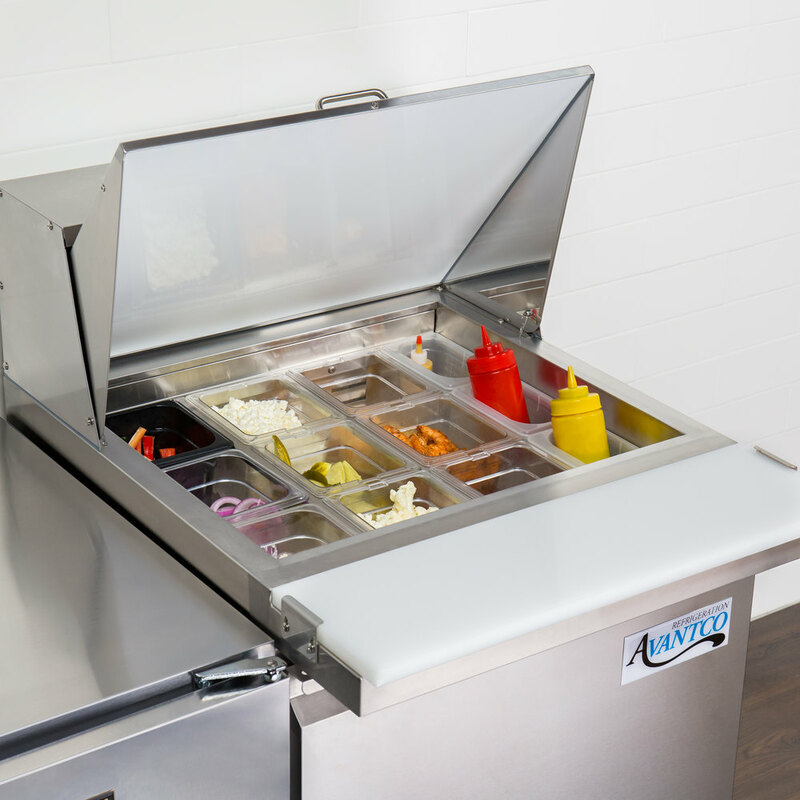 Whether used in a university, sub shop, or hospital, the unit is sure to help streamline the sandwich prep process with its convenient features and capacity. 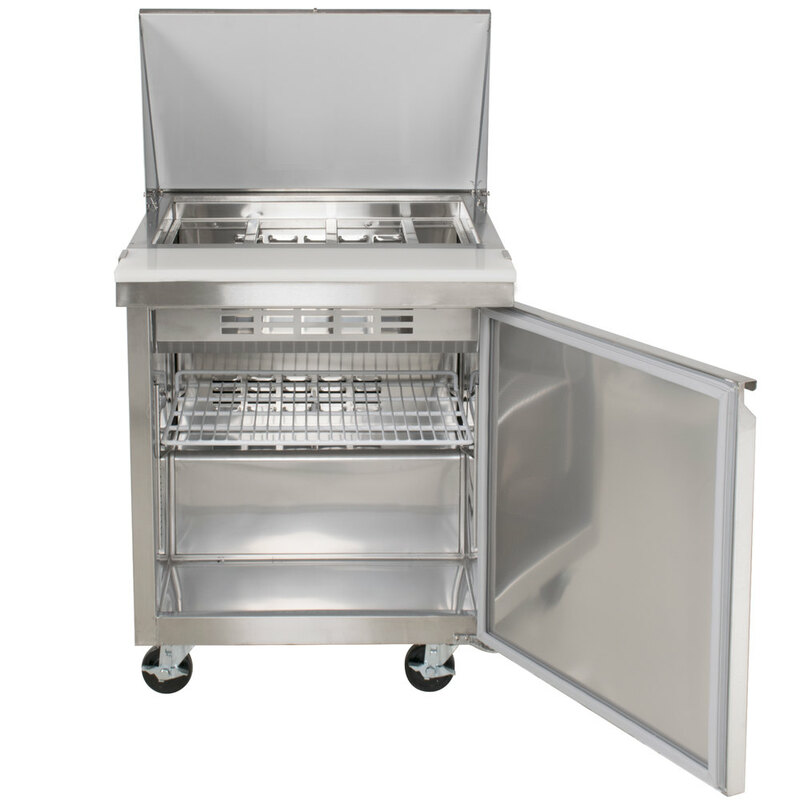 Its top, for instance, accommodates up to (9) 1/6 size food pans up to 6" deep (sold separately). 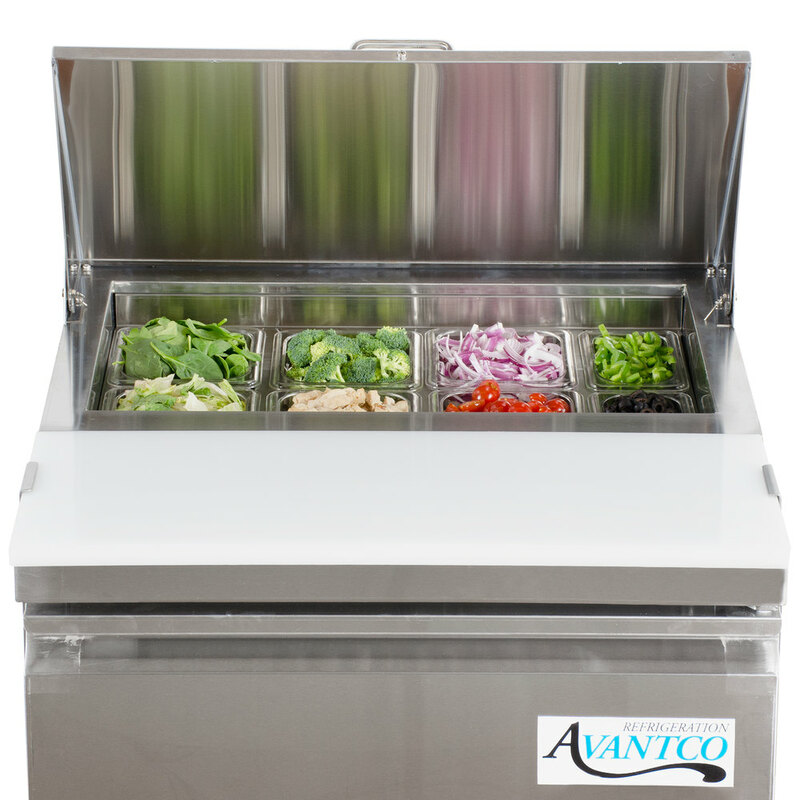 These are great for holding common sandwich or salad toppings, from eggs and cheese to green pepper or ham. 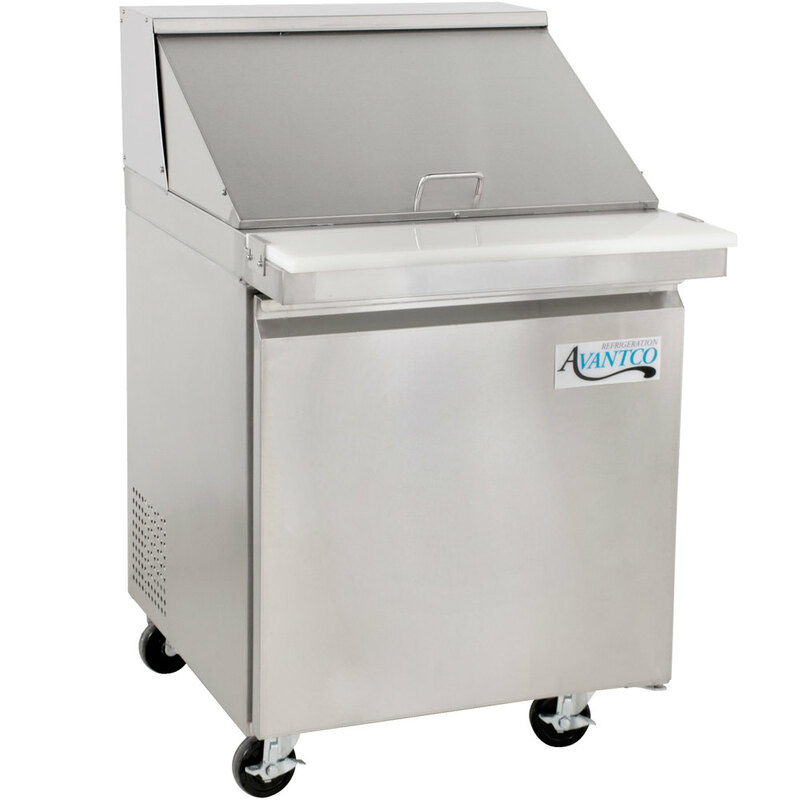 Plus, a lift-up lid encloses the top to maintain proper, food safe temperatures. 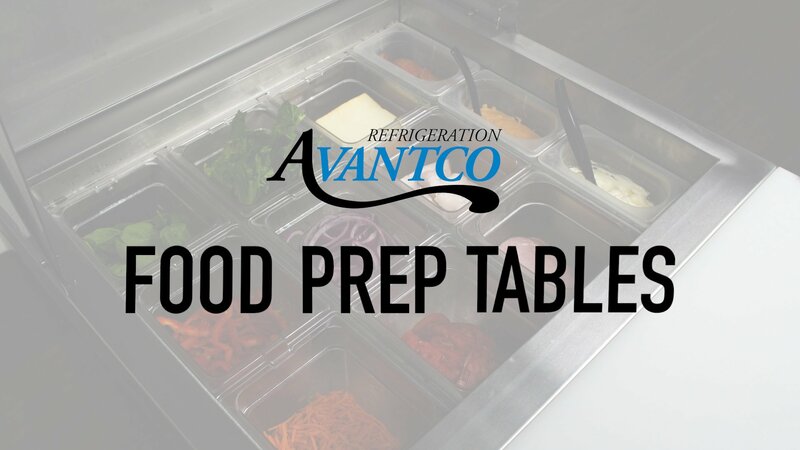 A full-length cutting board, which is 8" deep, is mounted to the table surface, providing a place for slicing ingredients and assembling orders. Beneath the workspace is additional storage space. 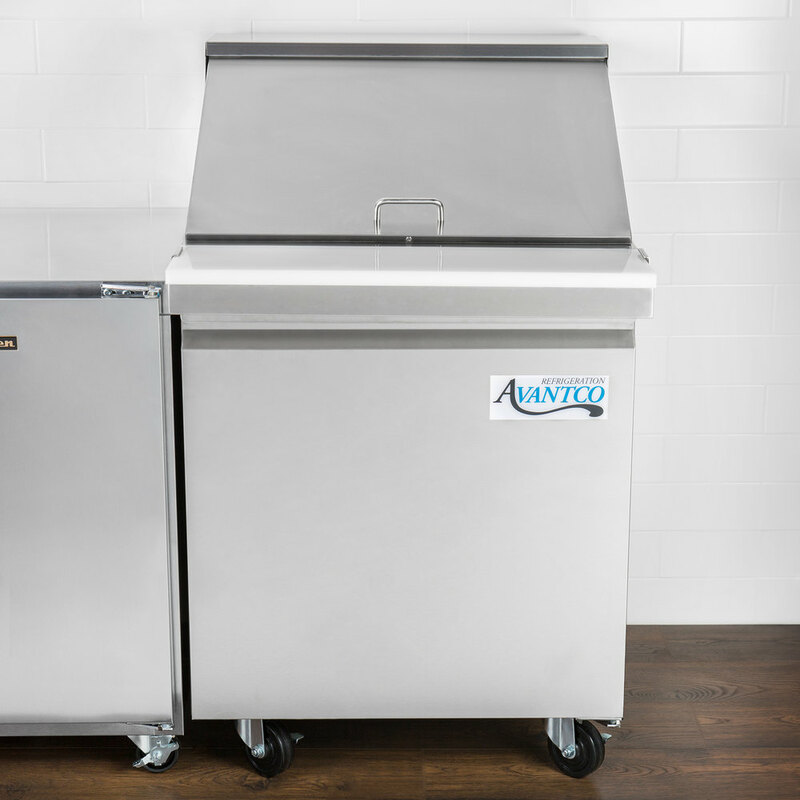 Because it's refrigerated, the space is great for storing back-up ingredients, such as deli meat and cheese, as well as less common toppings. 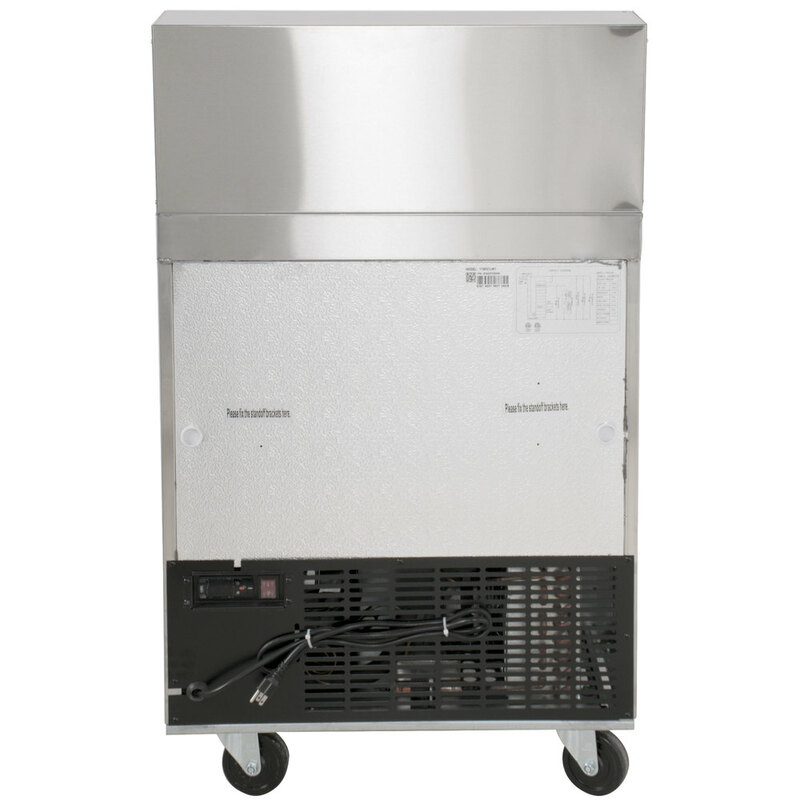 An epoxy-coated shelf is included and can accommodate up to 90 lb. of weight, helping to organize your assorted supplies. You can even use a reversible hinges kit (sold separately) to convert the hinges to the left side of the unit.